(Natural News) People who experience symptoms of jet lag could benefit from some pine bark extract at hand. A study published in the journal Minerva Cardioangiologica found that consuming pine tree extract for a few days before a long-haul flight may lessen the severity and time period of jet lag symptoms. 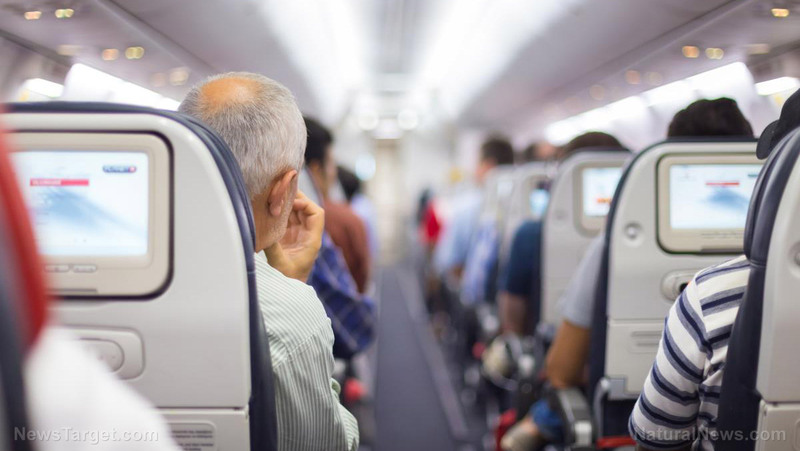 To specifically examine the effects of the pine extract on jet lag symptoms, researchers from D’Annunzio University in Pescara, Italy recruited people to take Pycnogenol daily for one week two days before a seven- to nine-hour flight. They assigned 32 study participants to take 50 milligrams of the extract three times per day, and 30 study participants to a control group. In the first part of the two-part study, the participants who took the extract and completed the study got a 56 percent lower score on a scale that measured jet lag symptoms, such as fatigue, grogginess, and insomnia, two days after their flight, compared to the control group. In addition, their symptoms persisted for an average of 18.2 hours, while the symptoms of the control group lasted for 39.3 hours on average. The researchers did the same procedure for the second part of the study, except the participants went through a brain scan within 28 hours of their flight. Participants in the control group exhibited more swelling in the brain compared to those who took the pine bark extract. In addition, the researchers found that their short-term memory was also more damaged, and the severity of their memory problems was associated to the amount of swelling in their lower limbs. Symptoms of jet lag may possibly be associated with the swelling of the brain, according to the researchers. They also suggested that the pine tree extract helps by preventing swelling both in the brain and in the limbs. Sleep well before your flight – Some people intentionally stay awake before their long-haul flight in hopes of sleeping throughout the flight. However, this is a mistake because last minute changes to your routine will only make it more difficult to adjust to new time zones. Having a good sleep before the flight will make you more capable of coping with jet lag. Opt for a flight that arrives in daylight – As much as possible do not book flights that arrive at night. If you arrived in daylight, it will be easier to stay awake and you are more likely to get out and explore. Know your plane – Two of the best airplanes are the A350s and A380s. They have hi-tech humidification systems that help the air retain moisture and LED lighting systems that can create 16.7 million shades of color simulating natural phases of the day. These are helpful in fighting jet lag. Book a flight with a stopover – You can split up your flight or take flights with stopovers. It will give your body more time to adjust to the new routine. Avoid alcohol – Avoid drinking alcohol before your flight because its effects at altitude will increase tiredness and cause dehydration, which make it harder to beat jet lag. Read more news stories and studies on natural remedies by going to NaturalMedicine.news.